I will admit one of the reasons I've been hesitant to write about movies, especially blockbusters, is because of spoilers. How can we really talk about something if we can’t really talk about it? If I have to avoid every major and minor plot and subplot, can I still call this a review? Also, in this day and age, what defines a spoiler? When we are discussing something that has already been a book or a comic book, are we actually spoiling anything? The comics have been out for decades (the first Captain America is from 1941!) so many people have had an idea where the Marvel movies have been heading. Is there a statute of limitations on how long we should wait to talk about something as high profile as the Avengers? What's an appropriate wait time? Opening weekend? The following Tuesday? A full week? Social media makes it hard to avoid discussion, but should the early birds be forced to contain their excitement or move to secret rooms and private messages so as not to inconvenience everyone else? For instance, there’s a moment in the film that’s really personal for me. It has nothing to do with the plot. It’s more about the relationship between two of the characters. But, if I mention it, will I be giving what amounts to an unexpectedly tender moment away? Or, because it’s personal to me, will anybody else even notice it? Aren't the post-credit scenes kind of spoilers, in a way? I'm not a die-hard fan, but we've been waiting 10 years for this to come together. Secrets are going to be hard to keep. With that in mind, I’ll give the standard read this at your own risk disclaimer. Thanos demands silence so I have no intention of giving anything away, but your definition of a spoiler might be different than mine. At 2 hours and 29 minutes, this is a long movie. You might want to think carefully about your beverage consumption. I’ve been trying to think of a point in the movie where it might be appropriate to take a potty break, but I can’t really think of one. I asked my husband and he couldn’t think of anything either. Geek Dad has an idea that seems pretty safe. If you choose to go with this recommended moment, I think you should still handle your business quickly (same spoiler warning applies). Drink responsibly or be prepared to hold it. If you’re one of the people who has not caught up on the Marvel Universe, or has only seen select films, this movie isn’t for you. Infinity War brings many plot lines together and if you don’t know the cast of characters you will be lost. 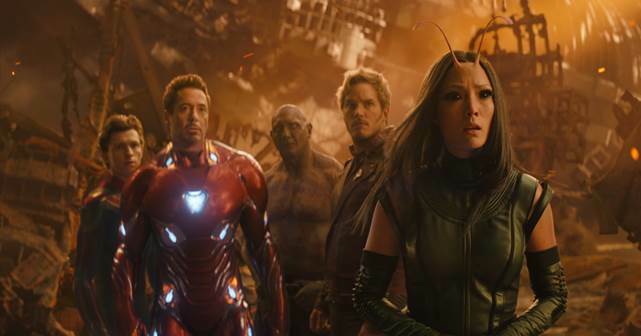 CNet put out a thorough guide to watching all the Marvel properties (including TV shows), and in what order, to be current before seeing Infinity War. WaPo also had a really good Marvel movie timeline, broken down by character. There are so. many. people. in this movie. I thought it would be confusing, or feel like the actors were jockeying for screen time, but it's fine. One of the screenwriters, Christopher Markus, said Infinity War is "not one long scene with thirty-five people in it." I agree. Maybe precisely because it's a long movie, I didn't feel any of the dialogue was forced. While it’s really cool to see the different worlds collide and characters meet for the first time, I think I was most excited about being back in Wakanda. 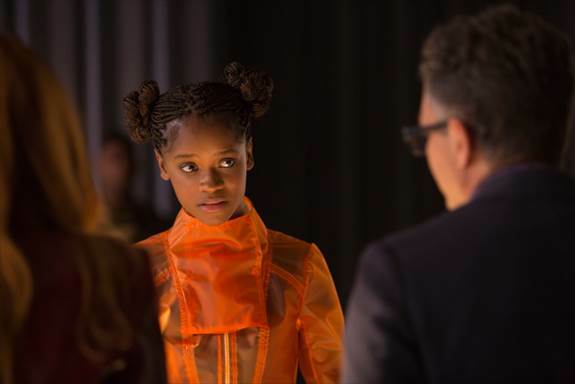 Leticia Wright's Shuri has, in my opinion, one of the best lines in the movie. Black Panther was so deep, I'm still totally in my feelings about it. The film bounces around to lots of locations, but I like Wakanda the best. As with a few of the other 18 movies in this franchise, Infinity War is a bit of a roller coaster. We missed some of the dialogue in the film due to crowd reaction. We’ve already decided we need to see it again. Mostly because it's a good movie but hopefully to catch what we missed. One thing I read in a lot of comment sections and Facebook threads is parents asking, "can I take my kids?" Honestly? I have no idea. Now that I have a teenager, I'm no longer a good judge as to what is kid appropriate. I see children of all ages at these movies, despite the PG-13 rating. If your kids have seen all the others in the Marvel franchise, have seen Star Wars films (the new ones), read and watched everything Harry Potter; I'd say this is fine. But, you know your kid best. 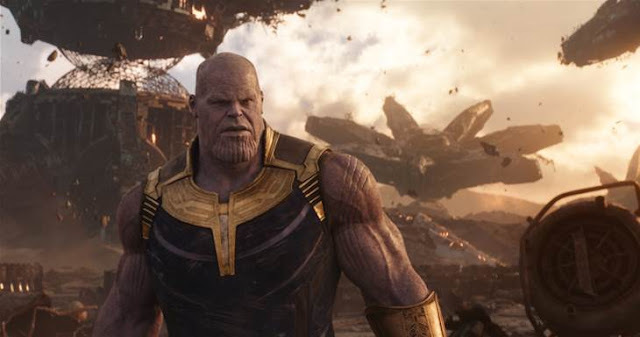 Overall, Infinity War is a good movie. It lives up to the hype and it's a good addition to the franchise. Come back here after you've seen it. I really want to to talk about it! Disclosure: I was gifted with tickets to see the movie prior to its public release. All opinions are my own. 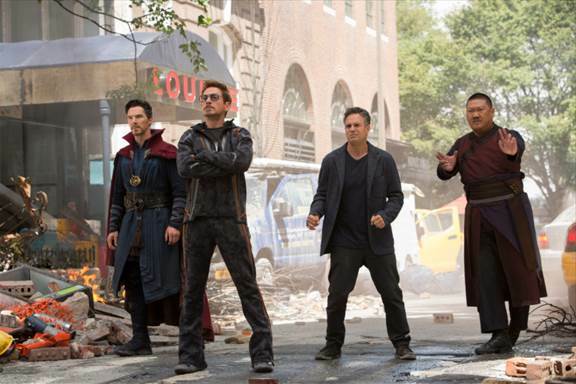 Photo credit to Marvel Studios. Avengers: Infinity War opens Friday, April 27th. Disclosure: LEGOLAND California provided me with free tickets in exchange for sharing this information about the Resort and the Honest Kids special ticket offer. We are very fortunate to live close to LEGOLAND California. When Tyler was young, we took advantage of the Model Mom Club membership level. It was perfect for our nanny. She and Tyler were able to go to LEGOLAND once a week. They got fresh air and exercise. As an only child, he loved being with other little kids in MiniLand and the play area. It was this early exposure to the park that sparked his interest in building with LEGO at home. For years, we bought increasingly elaborate sets that he would display in his room once he’d did put them together. We bought books on LEGO and played the LEGO games on the Wii. It was great! Sadly, now that he’s older, he’s outgrown playing with Lego. I must admit that I miss it. For the past few years, when I'd walk through stores like Target, I looked longingly at the sets. I thought I might never get my hands on those pieces again. I know. Adults can build, too. But it's more fun with people who share the love. My little brother must have sensed my pain because he’s given me two delicious nieces! He can be so thoughtful, sometimes. The little ladies got their first Duplo sets this past Christmas, and Aunt Mimi was only too happy to sit down with them and build. Since both girls are now old enough for a full day trip, my brother is ready to take them to their first theme park and he’s chosen LEGOLAND! Even though it’s been a while since we've been to the park, his family has never been, so he’s asked me to put together a little bit of an itinerary for them. 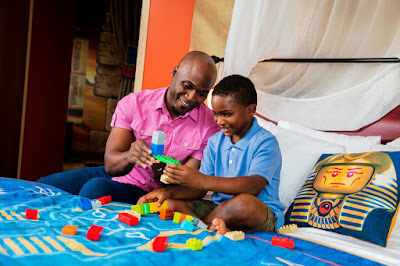 So, it was pretty much divine intervention that I received an email from LEGOLAND California Resort with information about what’s new at the parks. There’s also a really good offer from Honest Kids that involves free tickets that I’ll tell you about in just a bit. 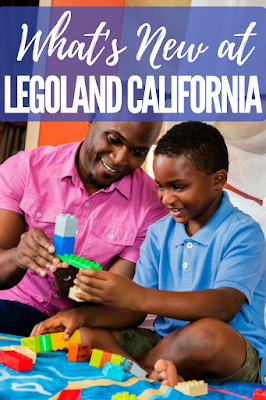 With three parks and one hotel (soon to be two), LEGOLAND California has more than 60 different rides, shows and attractions. There are 16 restaurants and 14 places to shop around the resort. The resort is designed for kids ages 2 - 12. There's a really handy guide for What To Do If You're Two that lists all the LEGOLAND attractions without height requirements, which is perfect for my youngest niece. The waterpark season begins March 5th, and Surfer's Cove opens this summer. The Castle hotel will be available for bookings starting April 27th. The Sea at Night display opens this spring. If you'll be onsite for a few days, planning your visit is key. Though there are several hotels nearby, staying on the property is the most convenient and fun. The LEGOLAND Hotel has themed rooms, scavenger hunts and early access to the park. Did you know kids can trade Minifigures with park staff? If you have duplicates, this is the perfect opportunity to get a different one. 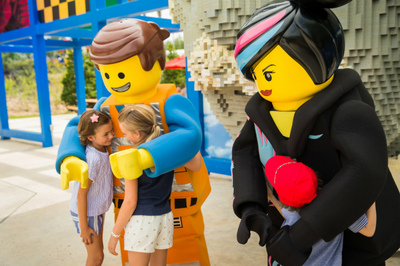 Fans of the LEGO Movie will want to make sure to look for the character meet and greet for a photo opp with Emmet and Wyldstyle. Do yourself a favor and download the app. It has ride wait times, the park map and discount offers. The app will help you figure out what areas of the park to visit first. 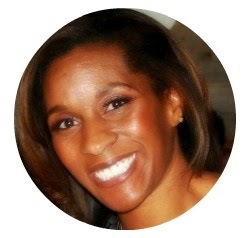 When you're creating your vacation budget, leave room to add on the Reserve N Ride. This is a pretty cool hand-held electronic gadget that you can use to hold your place in line for you! If you live in Southern California and want to consider converting your park tickets into a membership, there are several price points available. While the Model Mom Club isn't offered anymore, the yearly member price is affordable, especially when you break out the payments. As a military family, we appreciate that LEGOLAND offers discounted military tickets. 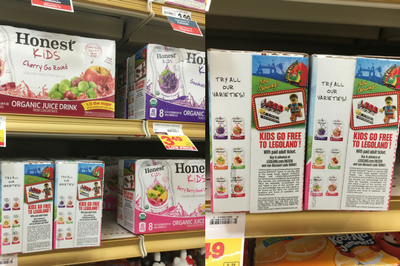 Right now, if you buy Honest Kids 8-count juice pouches, you can get one free One-Day Child Ticket with purchase of a full-price One-Day Adult Ticket. Look for the special boxes; the voucher will be on the side. If you have problems finding the boxes, go to the Honest Kids page on the LEGOLAND site and redeem the offer with code 189900. Note: the voucher on the box expired this past December, but it has the online code details. LEGOLAND California provided some of the assets needed to craft this post. Click for details on my disclosure policies.